Experts on Wednesday urged Cambodia to move away from large-scale hydropower and coal projects and toward more environmentally friendly sources of power or risk long-term energy insecurity, following the launch of a report by investment and advisory firm Mekong Strategic Partners in Phnom Penh. Government officials at the event, however, seemed unconvinced. 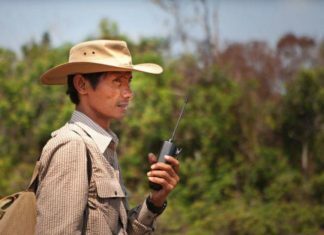 “Switching On: Cambodia’s Path to Sustainable Energy Security,” highlights how the increasing affordability of renewable technology combined with an international interest in efficiency and sustainability are leading most countries away from fossil fuels—with Cambodia seemingly heading in the opposite direction. “Utilities, consumers and investors in developed and developing countries are switching to renewable energy to constrain environmental impacts…but also because it is increasingly economic in its own right,” the report says. According to the report, smaller and more environmentally friendly energy sources have since 2009 yielded about 3 percent of the capacity budgeted in the government’s Power Development Plan. The Ministry of Mines and Energy expects to meet domestic energy demands with minimal imports by 2020, with plans to bring the Chinese-funded Lower Sesan 2 hydropower dam online, and to continue investing heavily in coal plants to offset seasonal disruptions from the country’s six operating hydropower dams. But while the government is expected to be able to provide electricity to 100 percent of villages by 2020 and 70 percent of households by 2030, according to the report, demand for electricity has been growing at 20 percent per year since 2010. “The government’s Power Development Plan must be updated amid new emerging trends,” Richard de Ferranti, a co-author of the report, said during the launch event at the Himawari hotel in Phnom Penh. “It is now possible to power a garment factory with solar power panels here for around 10 to 12 cents per kilowatt hour, which is competitive with conventional coal-fired power,” he said. Coal plants and large-scale hydropower projects also incur additional environmental costs, which are not reflected in market prices, said David Fullbrook, a senior consultant for renewable energy strategy and policy at advisory firm DNV GL. “It’s estimated that costs from fossil fuels such as pollution, climate change and health impacts could cost Cambodia $1 billion per year,” he said during the event. 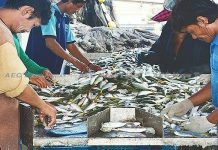 In 2010, a study by the Mekong River Commission found that 11 hydropower dams under development on the river’s mainstem could reduce fish stocks in the delta by as much as 50 percent. Tributary dams, such as the Lower Sesan 2, have come under fire for significant environmental impacts including a projected 9 percent drop in fish stocks. The global trend toward increasing awareness of environmental and sustainability issues was accelerated by the establishment of the U.N.’s Sustainable Development Goals in November and the COP21 summit in Paris in December—during which developed countries pledged to donate $100 billion per year to developing countries like Cambodia to tackle climate change issues, including support for investments in renewable energy. With funds for renewable technologies increasingly available, Cambodia has strong untapped potential for the uptake of greener energy sources—solar in particular—the Asian Development Bank says in a report released last year. “Cambodia has about 134,500 square kilometers of land area that could be suitable for photovoltaics development,” the report says. Despite the obvious advantages of solar energy and the risks associated with fossil fuels and hydropower projects, government officials yesterday expressed skepticism about the report’s findings and a reticence to diversify the country’s energy sources. “The National Council of Sustainable Development has been pressing on renewable energies, but this needs to be carefully implemented. We don’t want this just to be a pilot,” said Tin Ponlok, deputy director-general at the Ministry of Environment. Mr. Ponlok added that the government needed to carefully navigate sustainable development while maintaining the country’s economic growth and was waiting for developed nations to take the lead. To hedge against the changing global energy environment, Laos, Thailand and Vietnam have already established renewable energy targets for around 2020. Stephen Higgins, managing partner at Mekong Strategic Partners, said Cambodia should follow suit. “Investors are beginning to see that carbon-intensive energies and large-scale hydroelectricity are a no-go,” Mr. Higgins said.